In time, Tempranillo is going to become one of our more popular reds. Mark my words (or something). 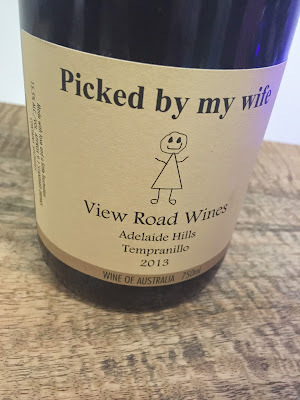 This McLaren Vale Temp from Josh Tuckfield goes down the ‘generosity’ rather than ‘varietal’ route with old oak and a relatively short time on skins. It almost succeed in being glorious too, except it’s too ripe. That 15.5% alcohol makes its presence felt at every turn, the treacly palate packing a wallop of dried fruit and drying tannins. Sadly the figgy, stewed edge ultimately ensures that this could be any dry red from anywhere warm. Extra points for impact, but the rest leaves me cold.